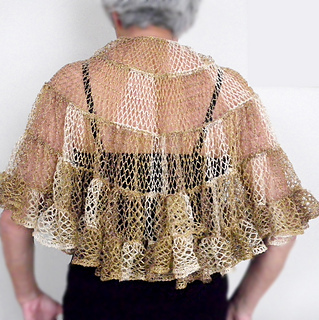 This shawl is similar to the Kelp Forest Shawlette but it is a half-circle, not a circle. 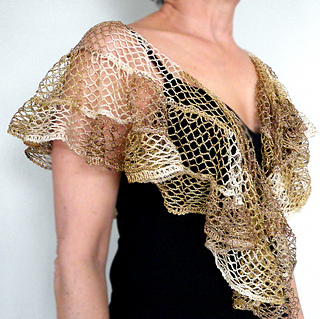 Starting from the neck, the rows are made by crocheting the thin edge into the wide edge. The tricky part is turning at the end of each row. To do this, fold the yarn under at 45° and slip stitch across to the wide edge. 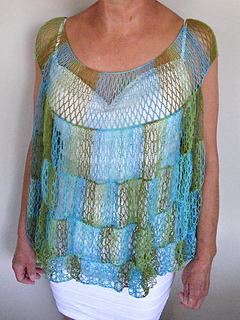 The pattern includes detailed photos. 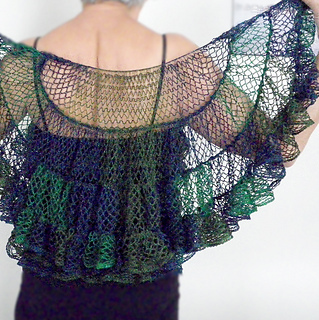 Materials: You may need two skeins of yarn if you want to make the large size or a lengthier shawl. 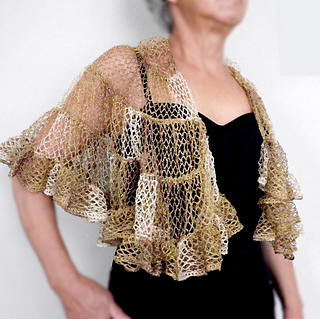 Gauge and size are not critical for this shawl. 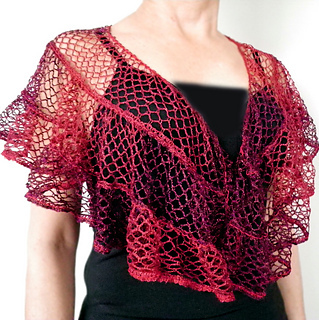 Other ruffled yarns may be used but spacing of stitches and loops may have to be adjusted. Note: If you have not used this type of yarn, there are several You Tube videos which are helpful, including those at Red Heart. Modified three row versions were crocheted with 36 inch straight first row. See Mini Sophia and Mini Golden.